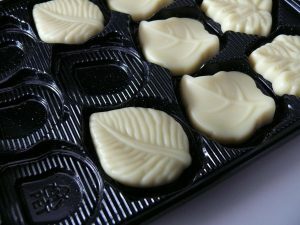 Inevitably, the white chocolate lovers will be quick to assure anyone who asks that of course white chocolate is chocolate (“what else would it be? !”), while the non-white chocolate lovers will be just as quick to denounce it as “not being the real thing”. Pictured: Sinfonia White Chocolate Mandarin, Divine White Chocolate with Strawberries, & El Rey Icoa. White chocolate is chocolate. It says so on the label. 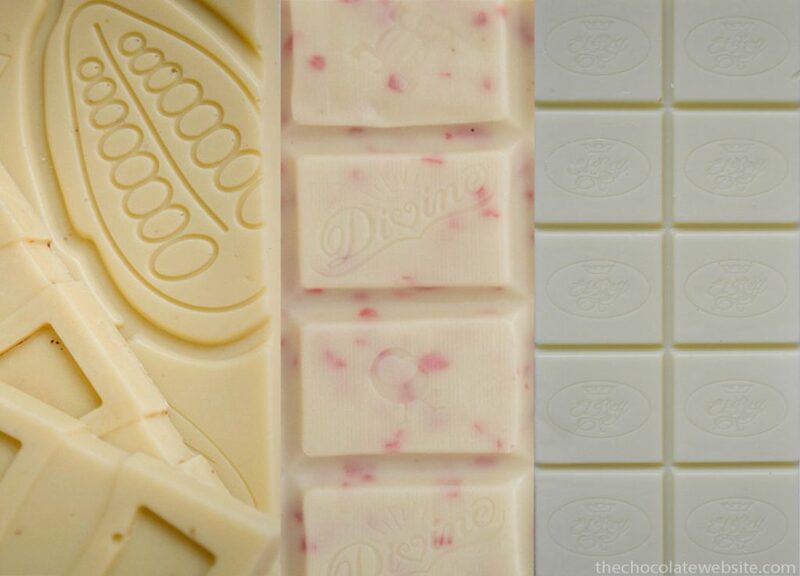 It doesn’t matter if white chocolate is actually chocolate or not, as long as it tastes good. White chocolate isn’t chocolate because it doesn’t have any chocolate in it, even though they call it chocolate. White chocolate commits at least half a dozen violations of the secret what-is-real-chocolate handbook. White chocolate is NOT chocolate. So, IS white chocolate actually chocolate? No. Yes. No! Yes! (It all depends on who you ask.) White chocolate does not contain any cocoa solids (cocoa powder, or, in other words…dare I say this…actual chocolate). But it does contain cocoa butter, which comes from the same bean as actual chocolate. White chocolate is generally cocoa butter + sugar + milk + lecithin, while chocolate itself is generally cacao/cocoa + cocoa butter + sugar, etc. What do I think? The wrapper says chocolate and it contains a lot of the same ingredients as chocolate and my sister likes white chocolate and I like making my sister happy, so… draw your own conclusions. There happens to be a big bar of white chocolate in the fridge (I have no idea how it got there*) and now my dilemma is what to make; there seem to be an alarming amount of goodies made with white chocolate. It will be hard to narrow it down to just one. Cookies and Cream Oreo Bark sounds equally amazing. But then there’s White Chocolate Dipped Peppermint Sugar Cookies. And I’d probably get the “best sister ever” award if I made White Chocolate Peanut Butter Fudge. And what do you think: Is white chocolate actually chocolate? This is a thorny topic, Alaina. 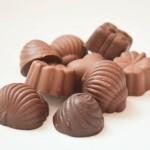 To start with, most people are not educated on recognizing what is good chocolate. Consequently, they are not minimally able to say from the list of ingredients and the rest of the product label if a chocolate is worth their money (and tasting). Secondly, far fewer are educated on recognizing good white chocolate. Technically, white chocolate is not the whole picture of chocolate, but half of it. As such, it presents an advantage. Since cocoa butter is the part that’s often left anonymous, too little is declared about its origin and processing. Thanks for your comment, Antonella. I will check out your post about white chocolate this evening.